Continued from Part Two, which looks at the % composition by weight of the waste output, waste disposed and waste recycled in 2008. Just to recap, we concluded that the focus should be to achieve greater waste reduction in Paper/Cardboard, Plastics and Food Waste, as they are common in households and offices, and there exist opportunities for projects and campaigns to reduce their output. 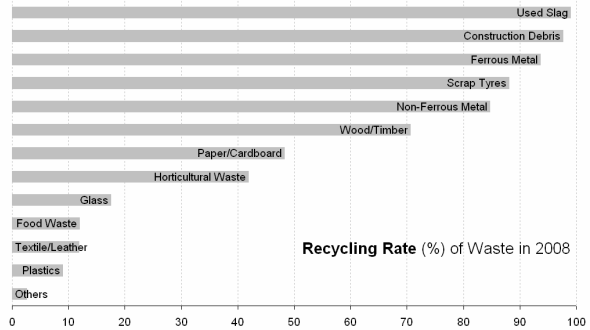 Besides waste reduction, let’s take a look at the recycling rate of the different waste in 2008. As mentioned in Part Two, the waste quantity of construction debris and ferrous metal being recycled are high. The recycling rate is 98% for construction debris and 94% for ferrous metal. 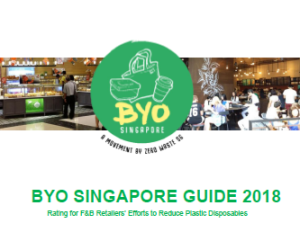 On the other hand, the recycling rate for plastics (9%) and food waste (12%) is much lower. The recycling rate for paper/cardboard is 48%, which means that half of the paper and cardboard waste generated ends up being burned in the incineration plants. 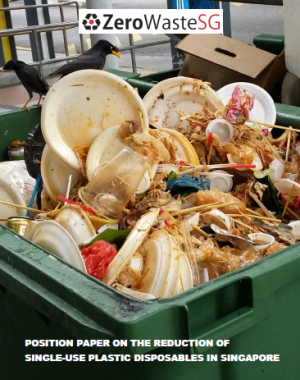 Clearly, more effort need to be put in to first reduce the waste output of Food Waste, Paper/Cardboard and Plastics, and then to recycle them when they are generated as waste. 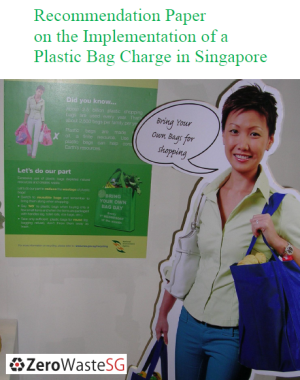 Let’s look at some local and overseas campaigns and projects to find opportunities for waste reduction. raise awareness of the need to reduce food waste. 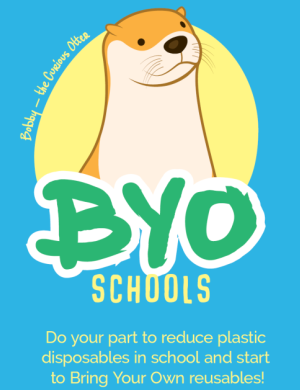 The campaign shows that by doing some easy practical everyday things in the home we can all waste less food, which will ultimately benefit our purses and the environment too. The website is a fun and interactive platform to learn about food waste and how to reduce them. It includes a Portion Calculator that shows you how much to cook depending on the number of people, and ways to measure it. There’s also a 2-week menu, recipes for cooking leftover, and food storage tips. 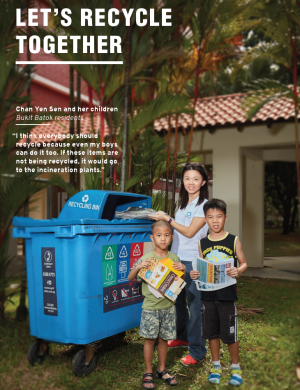 Food for All is a youth initiative dedicated to food-related issues in Singapore. Food for All’s mission is to encourage conversations amongst various stakeholders in the food industry – producers, consumers and everyone in between – in order to achieve the aim of creating an equitable and sustainable food system in Singapore and beyond. Their recent Food Report 2008 gives an excellent summary on the issues of hunger, agriculture, food security, ethical food, and nutrition in Singapore. The report also looks at the gaps within the local food system requiring both immediate and long-term action. 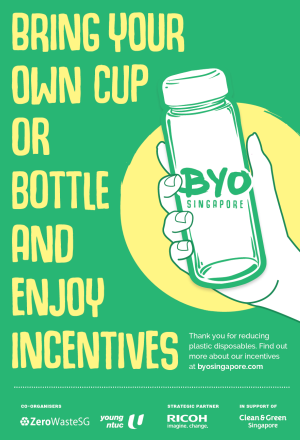 We need a more holistic approach to reducing food waste in Singapore, and go beyond the current recycling of food waste after it has been generated. We can learn from the Love Food Hate Waste campaign on reducing food waste due to preparation, and also from Food for All’s report, which has good suggestions such as implementing Food Banks and food distribution systems. The different government agencies such as NEA, AVA, HPB and CDCs should also work together to coordinate programmes and campaigns to reduce food waste. To be continued, watch out for Part Four.